The canton of Vaud is a land of contrasts and among the most beautiful regions of Switzerland. These bucolic, urban, mountainous or lacustrine landscapes unveil their beauty progressively to reveal themselves in all their splendour. 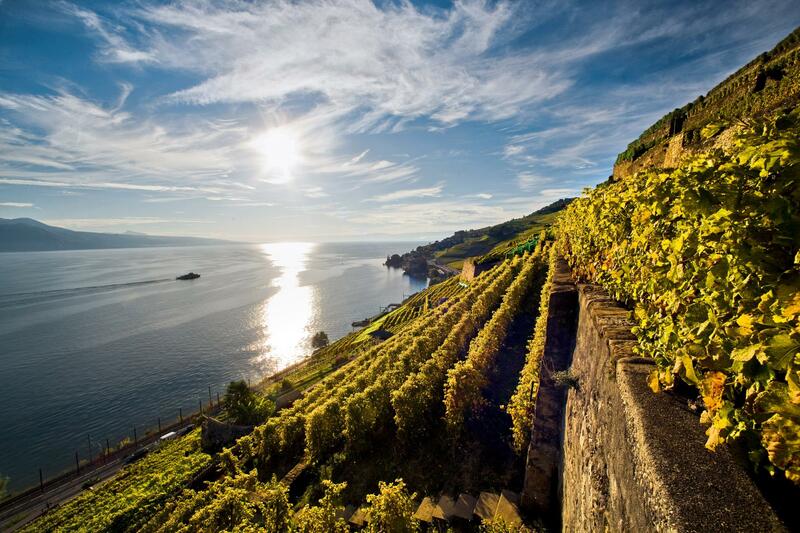 Admiring the beauty of the terraced vineyard of Lavaux and marvelling at the reflection of the Alps in Lake Geneva is a dazzling experience you will never cease to tire of. Ascending by cable car to Glacier 3000 and rubbing shoulders with eternal snow is a breathtaking adventure. In clear weather, the view of the three Swiss icons Eiger, Jungfrau and Matterhorn is simply splendid. Capturing the furtive movement of a migratory bird in the natural reserve of Grande Cariçaie is both surprising and amazing. Discovering the mystery of a geological formation such as the caves of Vallorbe stirs curiosity and fascination. There are so many experiences and unique landscapes to experience in the land of Vaud.